The new batteries may help Japan’s own defence industry and give Japan an edge in the increasingly crowded waters of the western Pacific. 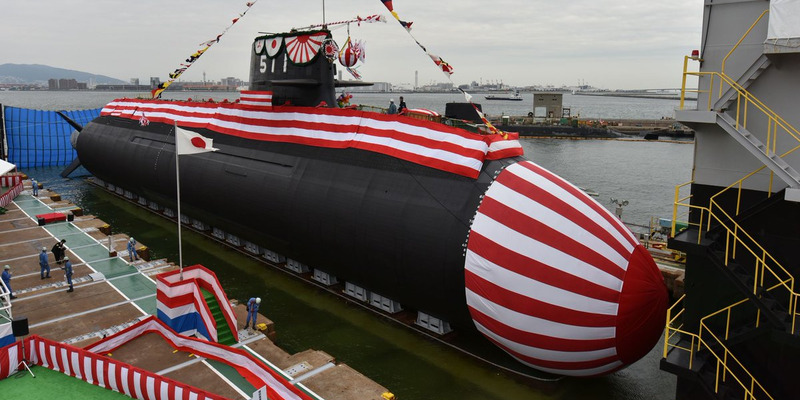 With more Chinese submarines roaming the Pacific and the Trump administration pushing US-made hardware, Japan is putting into play a new piece of gear that may give its subs an edge at sea and keep its defence firms afloat. JMSDF/TwitterJapanese officials at the launch of the JSMDF submarine Oryu, October 4, 2018. Both platforms have a top speed of 12 knots, or about 14 mph, on the surface and of 20 knots, or 23 mph, while submerged,according to Jane’s. Construction started on the 275-foot-long Oryu – which displaces 2,950 metric tons on the surface and 4,100 metric tons underwater – in March 2015. 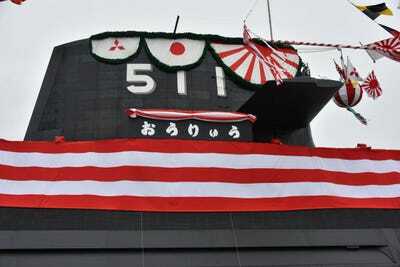 It’s expected to enter service with Japan’s Maritime Self-Defence Force in March 2020. 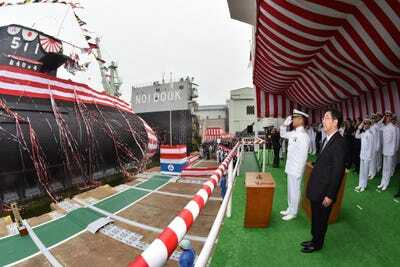 The Oryu’s launch comes as Japan’s military and defence industry face pressure from two vastly different sources. Japan, which has tried hard to court Trump, has beefed up its purchases of US-made gear. Tokyo spent about $US3.5 billion through the US’s Foreign Military Sales program in the most recent fiscal year, after never spending more than about $US880 million a year through fiscal year 2011, according to Nikkei Asian Review. Those acquisitions have helped Japan get sophisticated US hardware but have been of little benefit for Japan’s defence industry, which has struggled to export its own wares. Additional purchases from the US are likely to leave Japanese firms with fewer orders. Facing pressure from US military imports and with Chinese and South Korean firms gaining an edge in commercial shipbuilding, subs are the only outlet left for Japanese heavy industry, which has specialised technology and strong shipbuilding infrastructure, according to Nikkei. Japanese Ministry of DefenceA Chinese Shang-class (Type 093) nuclear-powered attack sub in the contiguous zone of the Senkaku Islands, January 2018. 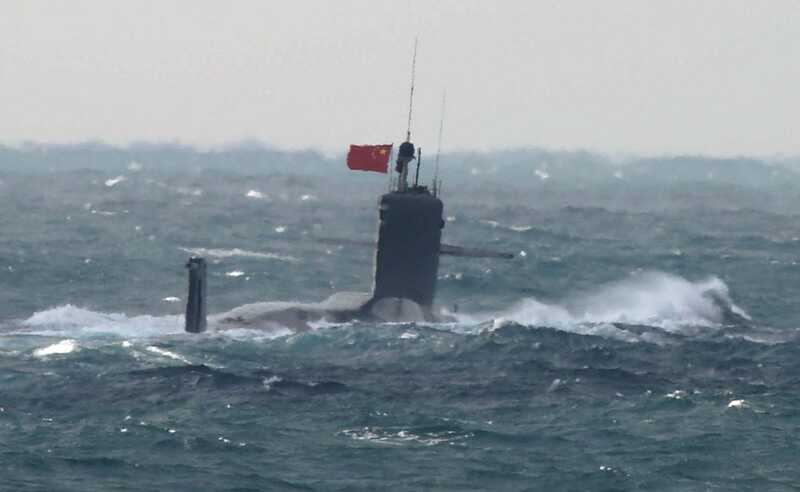 The Oryu also launches amid rising tensions in the East and South China Seas, where a number of countries have challenged Beijing’s expansive claims and aggressive behaviour. In September, JMSDF Oyashio-class attack sub Kuroshiro joined other Japanese warships for exercises in the South China Sea –the first time a Japanese sub had done drills there, the Defence Ministry said.